April 8 brings in doubleheader encounter on Saturday as Royal Challengers Bangalore take on Delhi Daredevils at 8 PM in Bengaluru's Chinnaswamy Stadium. Rising Pune Supergiant would aim to build on a promising start when they take on last season’s laggards, Kings XI Punjab, in the Indian Premier League when they begin their season campaign at a new home ground- Indore's Holkar Stadium. The match begins at 4 PM. Steven Smith, who has replaced Mahendra Singh Dhoni as the Pune captain, began the season in style by smashing an unbeaten 84 on Thursday to seal a seven-wicket win for his team in its IPL opener against Mumbai Indians. Pune’s spinners—Imran Tahir and Adam Zampa— impressed with their performance but Smith will be expecting more from Ashok Dinda and Deepak Chahar considering the Indian pace duo leaked runs against Mumbai. Ajinkya Rahane was sublime at the top of the order while Dhoni didn’t get too much to do with the bat. Smith stole the show courtesy a couple of sixes in the final over of the match. 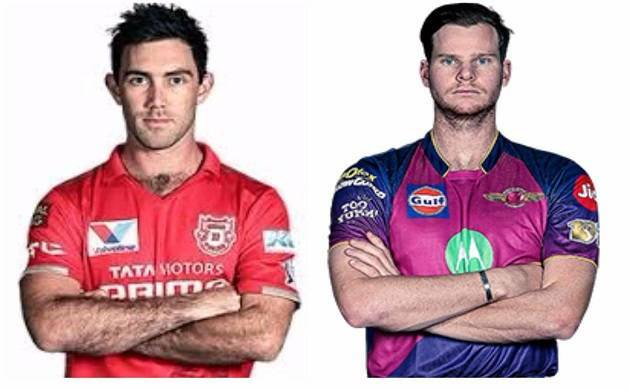 It remains to be seen what combination Kings XI goes ahead within their IPL opener. Though they have retained their core group, Kings XI bought eight players in the IPL auction including well-known names like Morgan, Darren Sammy, Martin Guptill and Varun Aaron. The team was dealt a blow in the run-up to the IPL when senior batsman Murali Vijay was ruled of the competition due to an injury. Pacer Ishant Sharma, who went unsold in the auction, was named Vijay’s replacement.